Beschreibung: Brief vom 17. April 2009 an Brawa Händler - BRAWA trennt sich vom Gartenbahn-Segment. 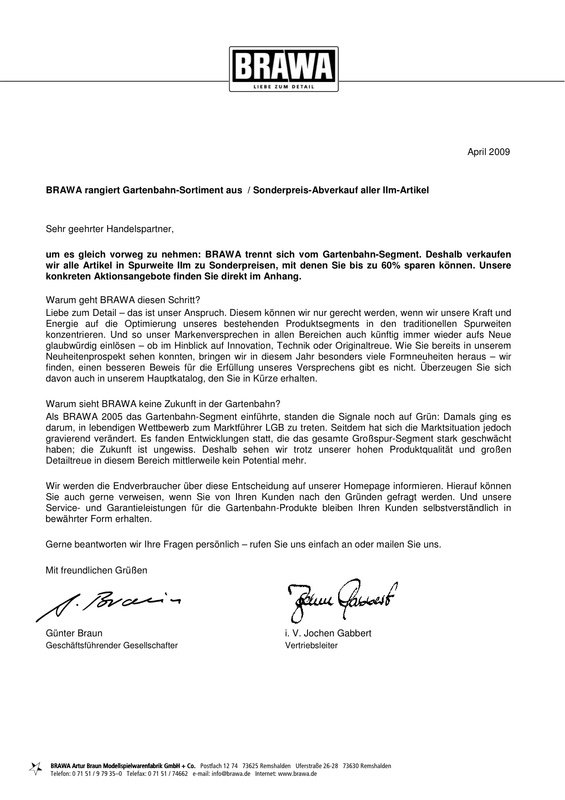 Letter (in German) as of 17th April 2009 addressed to Brawa dealers - BRAWA terminates their activity in the Garden Railroad product line. The remaining stock is being sold at discount prices.